Maybe some of you can remember me or even know me. Anyways, I'd like to share with you with my videos or pictures from the game here. Feel free to comment, dislike me or whatever. Don't be afraid to express your views here! As it is the first post of my chonicle, I'd like to present you how to handle/kill T8 Bear Cub. It's Kinda tricky and dangerous. Perhaps many of you don't know about it. Watch video and make it in the next test. I am with Albion since 2013 Q4. I was the officer in Scoia'Tael since 2 years. In 2015 I decided to found a new guild with my good buddy. @Grodar and me are co-founders of polish guild Gentlemen. We started with 10 people. 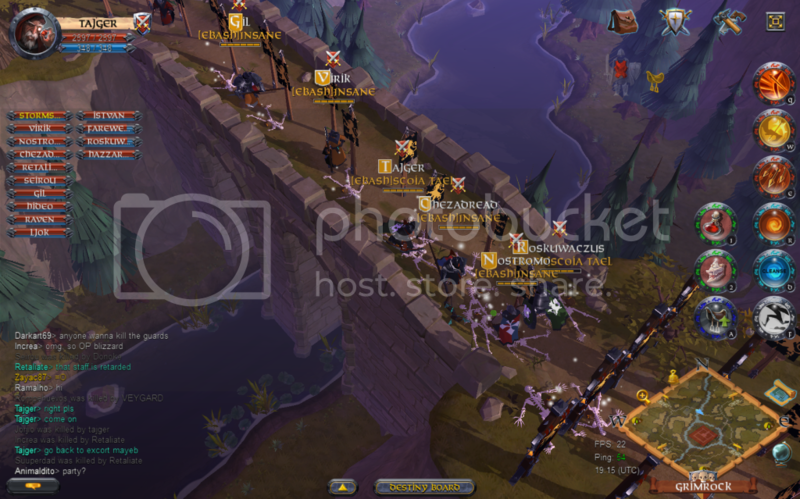 It was told by someone that now we are best polish guild and are able to compete against other strong guilds. The guild Gentlemen is managed by 3 GMs: Tajger, Grodar and Jogin. Have a fun by watching my Chronicle! The post was edited 6 times, last by Tajger ( Oct 24th 2016, 10:28pm ). And this is why Cake is better than any healing item out there. The post was edited 3 times, last by Tajger ( Jul 1st 2017, 7:18pm ). Can you see these corpses? @Cykameister did it on the Winter Alpha PvP Event : Toed Bear 8 kills in the same breath. The post was edited 2 times, last by Tajger ( Jul 1st 2017, 7:18pm ). The post was edited 1 time, last by Tajger ( Jul 1st 2017, 7:19pm ). You are naked bro!!! No! Why? @Tajger I would like to know your personal thoughts when you first saw the flags on the bridge? What was the reaction of everyone? When we saw the flags on the bridge we got confused. Dat was rly good roadblock. Believe me, I wasn't in a good mood then. There was a problem with running. TRICKY PEOPLE!